Taste 5 Glenfarclas whiskies with a specially crafted tasting plate. Hosted by distillery representative Ian McWilliam. Ian was born in Dufftown, Scotland and lived in the Speyside area all of his life. 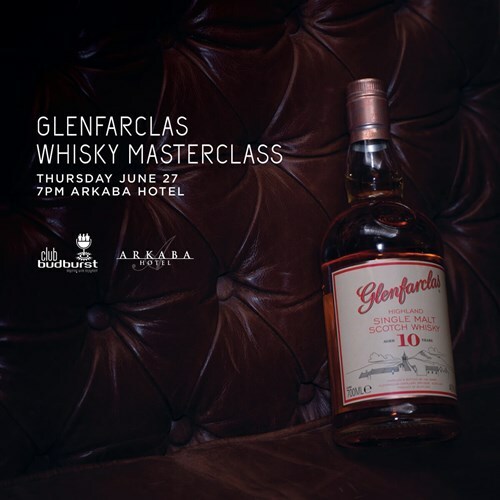 He joined Glenfarclas in January 1991 as Assistant Head Warehouseman and since then has worked in all areas of the Glenfarclas production, spending around 10 years between the Warehouse, Mashing and Distillatio. In May 2004, Ian moved to the Glenfarclas Sales & Marketing team. Most of Ian's time is spent based at Glenfarclas Distillery but regularly attends Whisky Festivals, Whisky Dinners, Tasting events, Staff Training and business meetings. Join us with Ian McWilliam as he explains in detail about the Glenfarclas production process and also the traditions and family history that all add up to make Glenfarclas a truly great whisky.